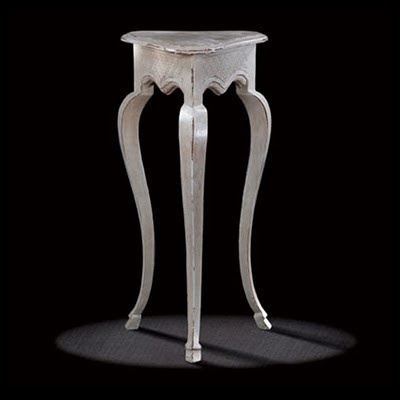 Regency little table with three legs ending in hooves. 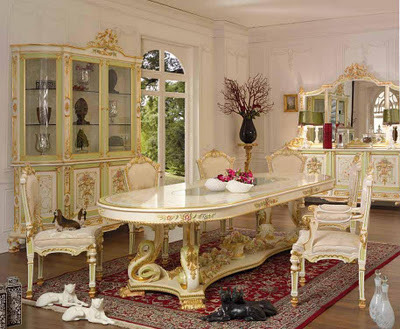 The shape appealed to register special animal of ancient mythology Greek see also " Regency dining table " , referring to the fauna or the goat Galatea. The symmetrical design inspired by popular figures in the first third of the eighteenth century. 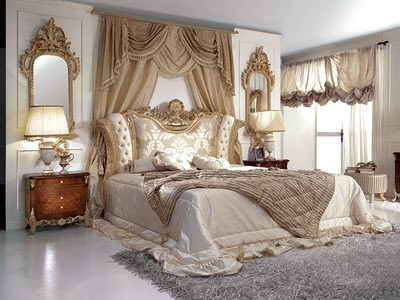 His Multiple use is then at its inception this furniture was for small wear flares and chandeliers. Pedestal: The pedestal was starting to figure Moor, a slave carrying a plateau. Then the central barrel is decorated with a tripod and it declined in the various models see also " french regency chair " . The flare can also be confused with the pedestal by authors: "kind of small table on which barreled higher you put a torch, a girandole, candles (dictionary of the French Academy1696). Great table, it is so beautiful, i love it!